What Percentage of Stroke Patients Make a Full Recovery? According to the National Stroke Association, about 10% of stroke patients make a full recovery. However, we believe that percentage can be a lot higher than that. In this article, you’ll learn why you’re probably better off ignoring generalizations and how you can achieve a higher recovery than your medical team predicted. This article is loaded with the optimism you need for a full recovery, so get ready. Is There Hope for a Full Recovery? When you hear that only 10% of patients achieve a full recovery, what does it make you feel? Does it fill you with hope or disappointment because (technically) the odds are against you? If you’re like most people, you probably feel disappointed because it means that you’ll probably be disabled for your entire life. Yikes! That’s not a very good belief to carry around, and it certainly doesn’t feel good. Instead, we’ll talk about a much better approach – one that will increase your chances of a full recovery. But first, it’s important to understand why limiting beliefs are a problem in the first place. If you’ve been told that you’ll never fully recover from stroke, it’s because medical professionals are obligated to speak strictly facts. Although you are far more likely to achieve a higher recovery if someone told you that it’s possible, doctors are obligated to speak strictly facts (which set your expectations low) to avoid getting in legal trouble. They err on the side of caution when discussing your stroke prognosis by preparing you for the worst case scenario instead of the best case scenario. This isn’t to speak ill of your doctor – they’re just doing their job. But it’s very important to understand what these limiting beliefs do to your psychology. Is Your Self-Fulfilling Prophecy a Good One? For example, if a doctor tells you that you’ll be in a wheelchair for your entire life, it creates the limiting belief of “I’ll never be able to fully recover from stroke.” As a result, this belief sinks into your subconscious mind, and the self-fulfilling prophecy begins. Meaning, because you believe that you can’t fully recover, it prevents you from even trying, which prevents you from seeing results because you don’t take proper action. The lack of results then reinforces the belief that your situation is hopeless, which inspires even less action, and the poor results continue. As you can see, it’s an awful downward spiral that leads to a poor recovery. Luckily, there’s a much better approach. Curiosity will help you achieve a higher recovery from stroke. If you start to question the beliefs that you’ve picked up from other people, then you can get closer to the truth. For example, if your doctor said you’d never walk again, ask yourself if that’s really true. Do you think that perhaps, with really hard work, you actually could walk? Something magical happens when you believe in yourself: It inspires action, which leads to results. And once you see some results, you realize that there is hope, which inspires even more action and results. This is a positive self-fulfilling prophecy that can really pay off and even help you achieve a full recovery. Does all this sound too airy-fairy to be true? It’s time to bring in the hard science. 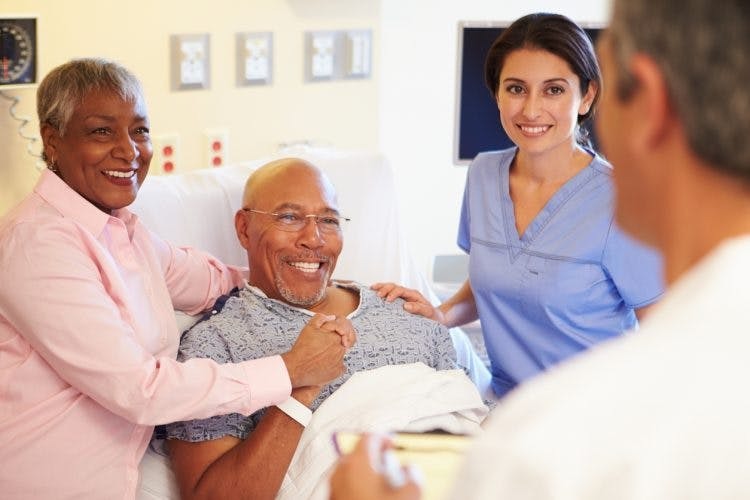 Studies on patients who underwent coronary bypass surgery have shown that optimism is associated with a faster rate of physical recovery and a faster return to normal life activities. We know that heart surgery is different from stroke recovery, but the link between optimism and better physical recovery is universal, in our opinion. We bet that if a study was done on optimism and stroke recovery (and some indirectly have), the results would be the same. More optimism leads to more recovery, plain and simple. You can achieve a much higher recovery than your doctor predicted by getting curious about your potential and then working really hard towards that goal. Ignore what others said. What do YOU think you can achieve? Then, start taking action! Results won’t come overnight. Rather, you’ll see results when you put in consistent effort over the long-term. Believe in yourself and put in the work for the higher recovery you deserve.